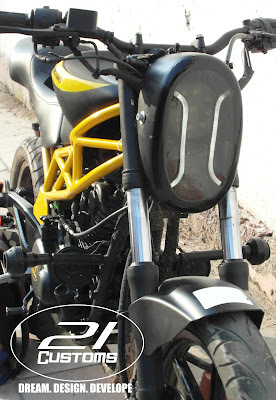 Today we are featuring another good bike modification house from Delhi. They are 21 Customs and have been doing some serious designing job. Today we are showing you their new project SF200. This is based on Pulsar 2007 model. 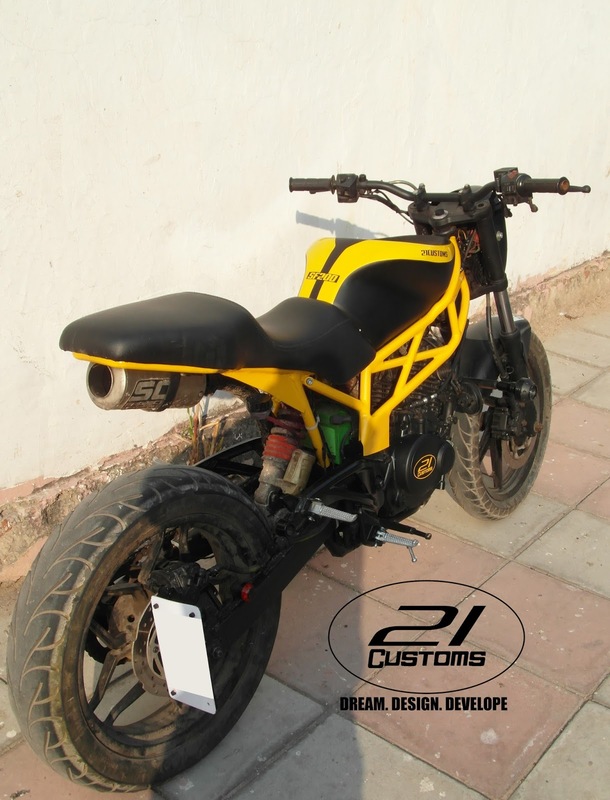 Kabir Singh of 21 Customs told us that they have worked from scratch for SF200. They came up with new design. Their client wanted a street fighter with mean stance. "We took R15 fuel tank for the aggressive feel and the whole design runs around it. " said Kabir. They swapped the original dual suspension system with Pulsar 200NS monoshock suspension. Redesigned the rear body frame to add agility and sleek seat setup. Side frames for extra muscle and to complete the mean factor. Minimal headlight cowl for clean look with knuckle punch DRL. 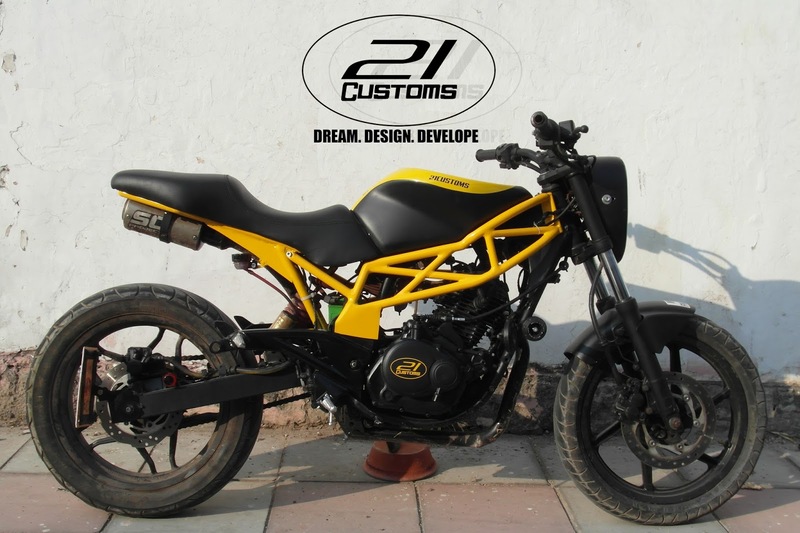 All the frame work was done in yellow to highlight the muscularity of the bike and all the rest parts were done in matte black to keep up with the mean look. Replaced exhaust from the side to under the seat which ended up making the bike more compact and well balanced. We are really impressed with their work. If you are also impressed with them then you can share this article.